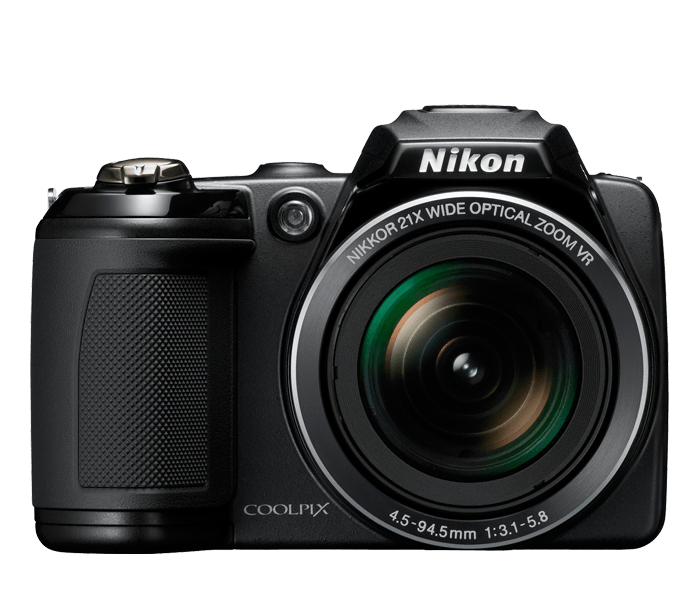 Create beautiful photos and HD movies from distance with the easy-to-use COOLPIX L310. Its powerful 21x optical zoom NIKKOR glass lens with Vibration Reduction (VR) image stabilization system delivers razor-sharp images and HD movies of even far-away action. Creative in-camera color options make it easy to add an artistic touch, and since the COOLPIX L310 uses AA batteries, you’ll never have to wait for a recharge. Enjoy the moment! All you have to do is point and shoot the the rest is done automatically. With Easy Auto Mode the L310 recognizes the scene and automatically optimizes the camera’s setting by selecting the appropriate scene mode for the shot. Six different scenes can be detected and set including Portrait, Night Portrait, Landscape, Night Landscape, Macro-close up and backlight. When the moment calls for video recording, press the convenient movie button and instantly start recording HD (720p) movies with sound. Different color options are available for use with movie recording, so you can add some artistic flare to your videos. And when you’re ready to share your creations, simply gather around the COOLPIX L310’s 3” LCD monitor or connect to your TV.